Sophomore James Mulry, Northeastern left handed pitcher, struck out both Dustin Pedroia and David Ortiz during the annual Spring Training game on Thursday, February 27, 2014 in Ft. Myers against the Red Sox. In 3 innings, Mulry allowed 3 hits and 1 earned run while walking 2, along with his 2 strikeouts. 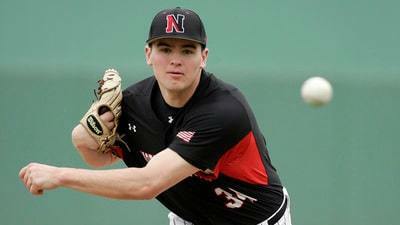 The Red Sox beat Northeastern, 5-2.